The Edinburgh Festival Fringe, the biggest arts festival in the world, is in full swing as we speak. Even if you only manage to catch a handful of the tens of thousands of performances staged in the city throughout the month of August, it's easy to feel a little overwhelmed by the crowds, noise, ubiquitous jugglers, and avant garde performers taking up sidewalk space with their occasionally incomprehensible art "happenings." If so, this is normal, and, congratulations! You are thinking like a local. If your theater-going is done, or if you just feel the need to get out of town, we have a few suggestions for some nearby places to escape to. Only 15 miles west of Edinburgh, Linlithgow Palace was the principal residency of the Scottish monarchy in the 15th and 16th centuries, and is best known as the place where Mary, Queen of Scots was born in 1542. 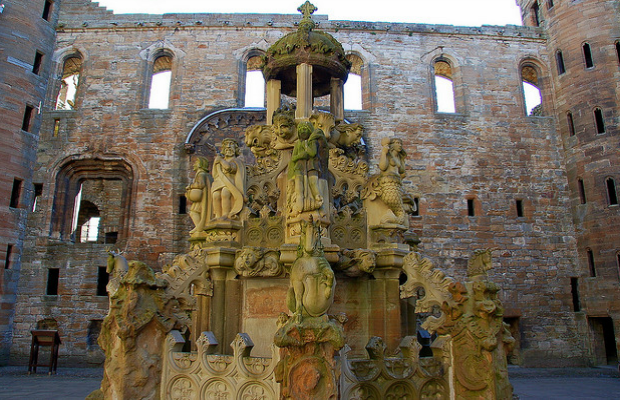 The palace, which is now in ruins but retains its great hall and three-tiered courtyard fountain, lies along the picturesque Loch Linlithgow and next to the 15th-century St Michael's Church. Scotland's smallest city, 50 minutes by train from Edinburgh, is home to two of the most iconic sights in Scotland: Stirling Castle and the Wallace Monument. 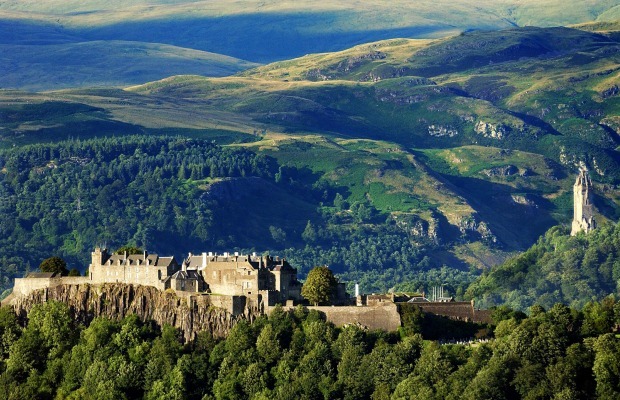 The castle sits perched atop a rocky hill and was the site of several sieges during the Wars of Scottish Independence. The 220-foot Wallace Monument commemorates Scottish hero, William Wallace who led Scotland to victory over the English army in the battle of nearby Stirling Bridge in 1297. Admittedly, this chapel that featured prominently in Dan Brown's Da Vinci Code and subsequent film adaptation is not the best place for escaping tourist crowds, but, at less than 10 miles from Edinburgh, it makes for a quick and easy half-day trip. 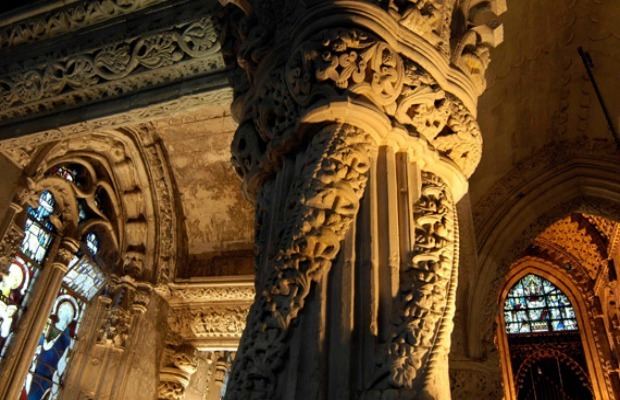 The architecture at Rosslyn Chapel is considered some of the finest in Scotland and features such a dazzling array of intricate carvings of angels, devils, mysterious boxes, and pagan 'Green Men' that it is easy to understand why the chapel is the source of so many occult theories. 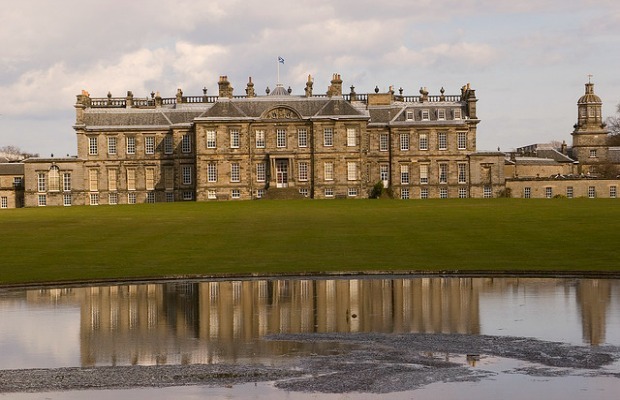 A 30-minute drive east of Edinburgh, lying along the River Forth, Hopetoun House is set in 150 acres of woodland and has its own deer park. The house, which dates from the 17th century, is one of the finest examples of Georgian architecture in Britain and is decorated with period furniture, paintings, and tapestries. Don't miss afternoon tea at the house's charming Stables Tearoom. 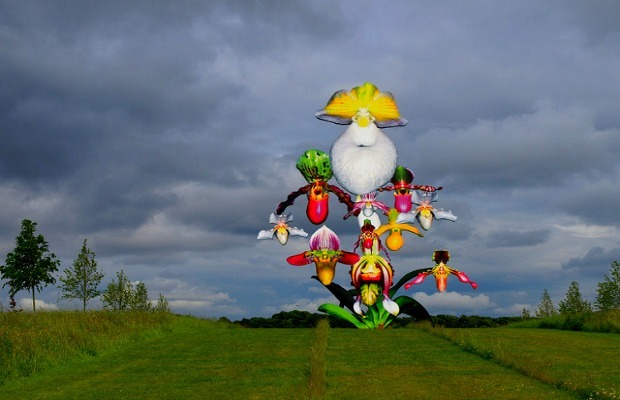 Just ten miles southwest of Edinburgh, Jupiter Artland is an outdoor sculpture park set in the 80-acre estate of Bonnington House. The park features specially commissioned works created on-site by leading sculptors and land artists including Turner prize nominees Nathan Coley and Jim Lambie, as well as Anish Kapoor and Anthony Gormley. From Thursdays to Fridays the park has an on-site cafe serving home-cooked meals out of a vintage silver caravan.